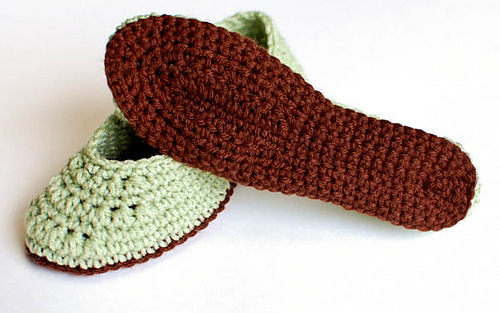 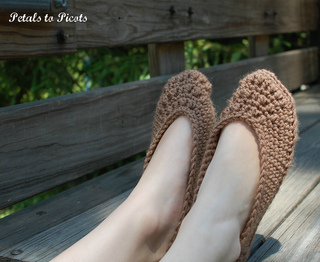 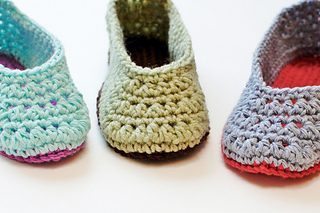 These crochet slippers are super cute and will keep your feet warm and cozy. 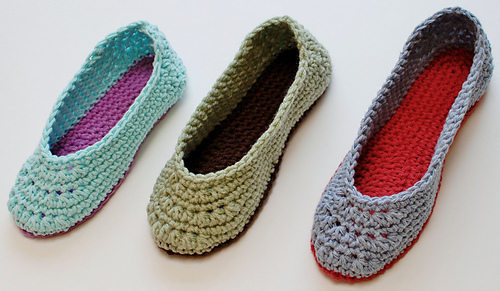 The low cut front and side design give the slippers a stylish ballerina-flat look, while the higher heel helps them stay put. 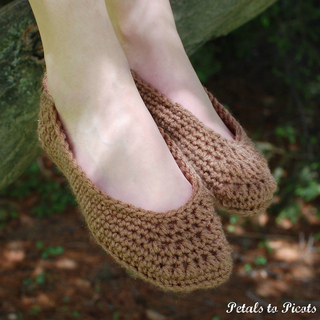 The pattern works up quickly and easily and consists of basic crochet stitches with increases and decreases. 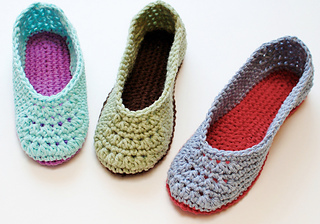 I’ve included four variations of the pattern for slipper sizes to fit U.S. ladies sizes 4/5, 6/7, 8/9, and 10/11.